Trailhead Location: There are two possible trailhead parking areas for this hike, both along State Route 179. 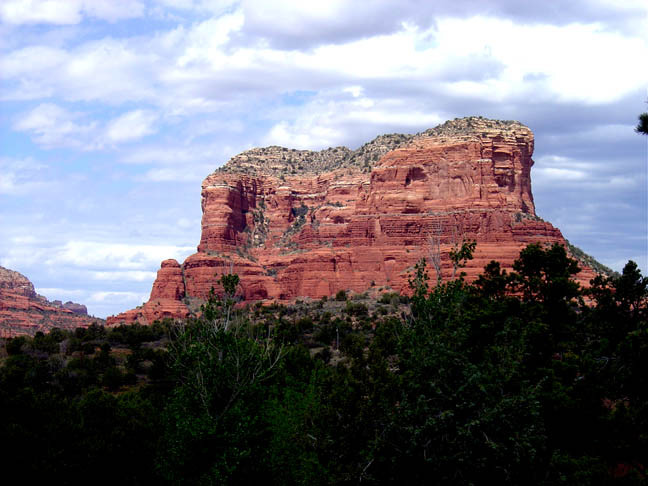 Description: This trail circles Courthouse Butte and Bell Rock in the Village of Oak Creek. It provides good views of these two famous rock formations as well as distant views of the Chapel of the Holy Cross and Cathedral Rock. You'll pass by "Muffin Rock," which some call "Space Rock."